I am so excited to announce that our bee camera, which has been offline throughout most of the season, is up and running again! With our camera, you can see our LIVE bee activity, and you can zoom in, look around, and manipulate the camera from home! If you have never seen a rooftop apiary before- here’s your chance! Be sure to tune in on September 10th for our honey harvest! 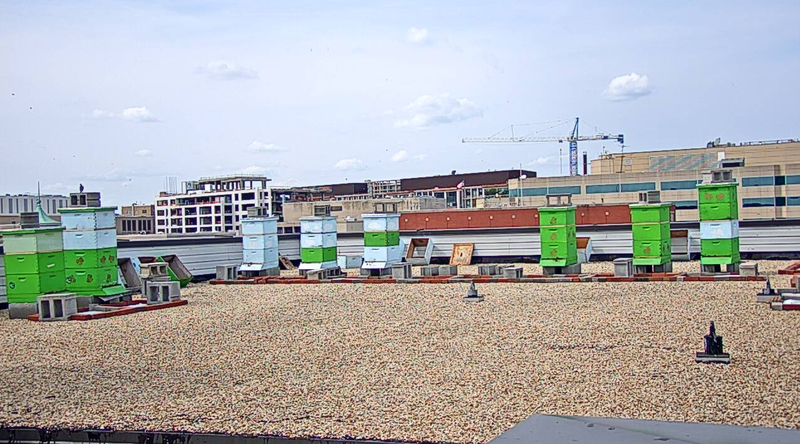 A special thanks to founding farmers for making our live bee camera possible.